At first, all you see is a door, but slowly, slowly…. all of a sudden, a tiny paw appears! 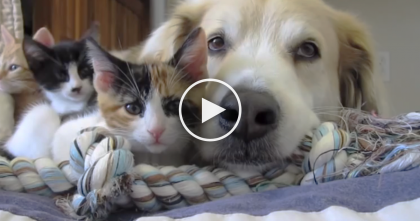 This sneaky fluffball tries to spy on her human, but the results? Completely adorable! 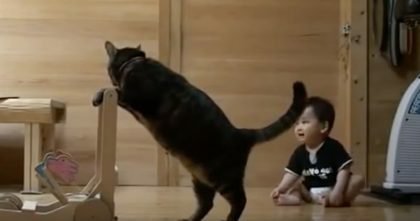 When this fluffy kitten sees a chance to sneak up on her human, she does it in the stealthiest way possible…Slooowww motion! 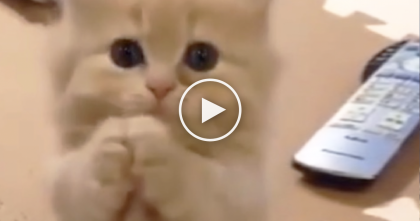 This adorable kitty has got all the moves and you won’t believe what she tries to do. 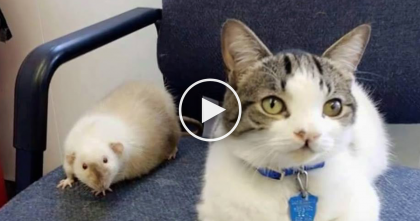 What a sneaky cat…Completely adorable!—SHARE this funny video with friends! 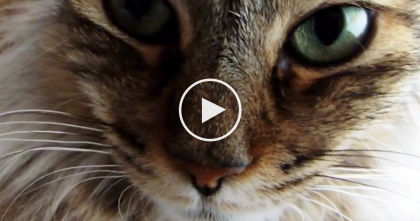 Ancient Egyptians Worshiped Their Cats And Mummified…But That’s Not All… Watch The Video!